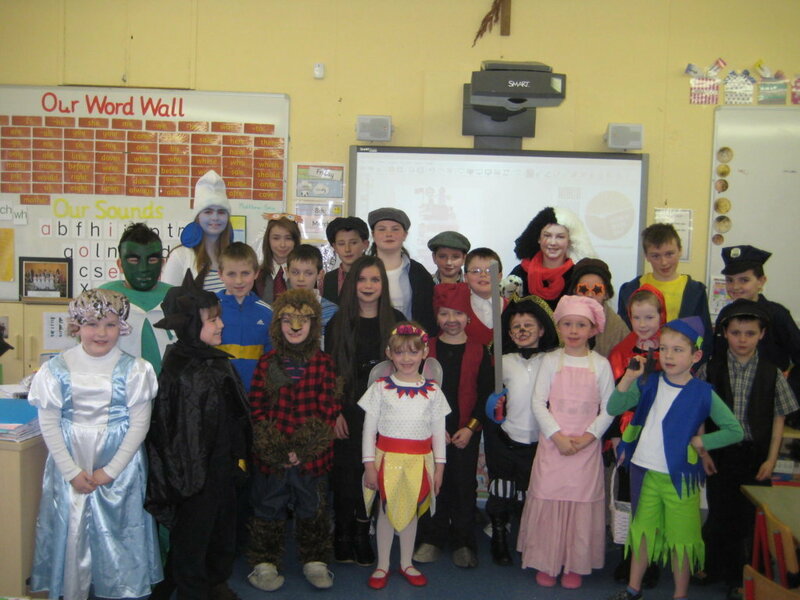 On the 12th of March our school took part in the mini sevens in Kilmaine. It was our first chance to show off our cool new football jerseys. 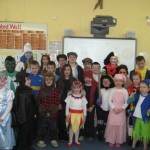 All the boys and girls from 2nd – 6th class took part. The boys played against Cross. They played a great match but unfortunately lost. Hard luck boys! The girls played against Cross and won! Well done girls! We had an enjoyable day out and we are going to keep up the practise. 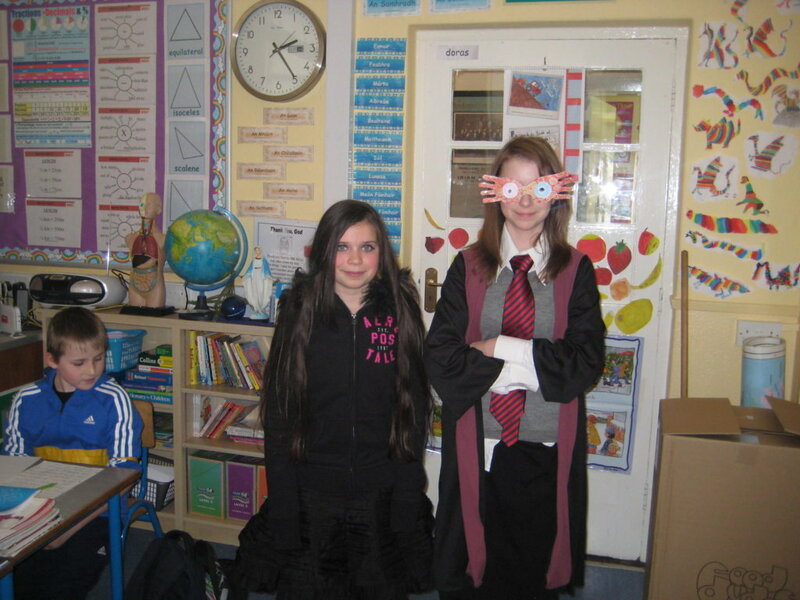 We celebrated World Book Day on the 8th of March. Everybody dressed up as a book character and there were some excellent costumes. 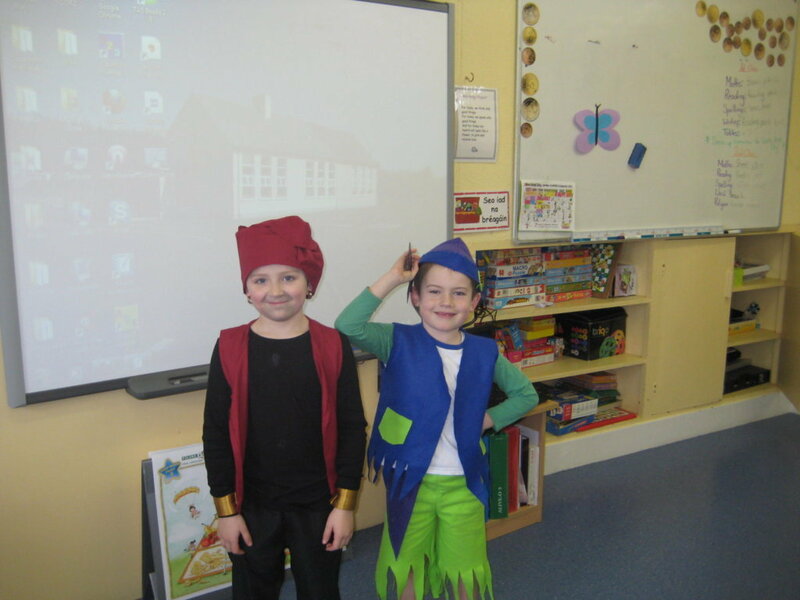 The winning costumes were Meabh as a Smurfette, Darren as The Incredible Hulk, Darragh as Prince Haraz and Ruairí as Peter Pan. 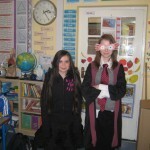 They won 5 World Book Day tokens each. We all had a great day and hope to celebrate it again next year. 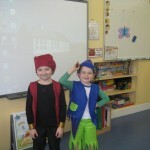 Earlier in the month, Darren and Rory entered Scór Na bPáistí! Rory took part in the Sean Nós section and Darren sang Wagon Wheel and played the guitar. They were both excellent. Darren didn’t get through but lots of people commented how good his performance was. Rory got through to the county final. Everyone thinks that they will both be professionals in the future.